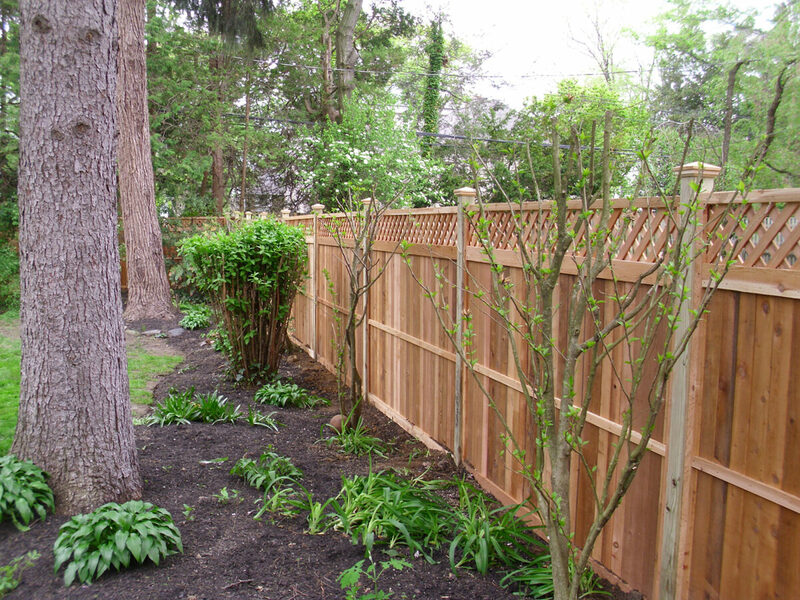 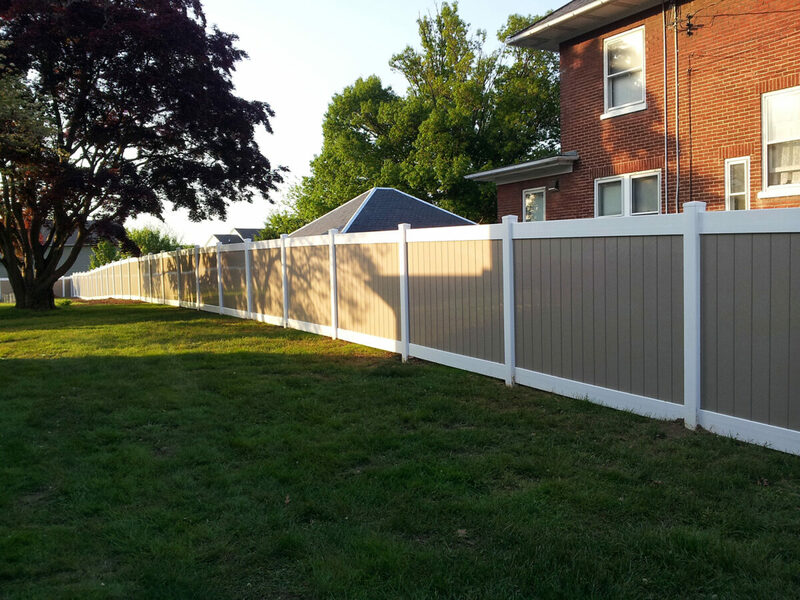 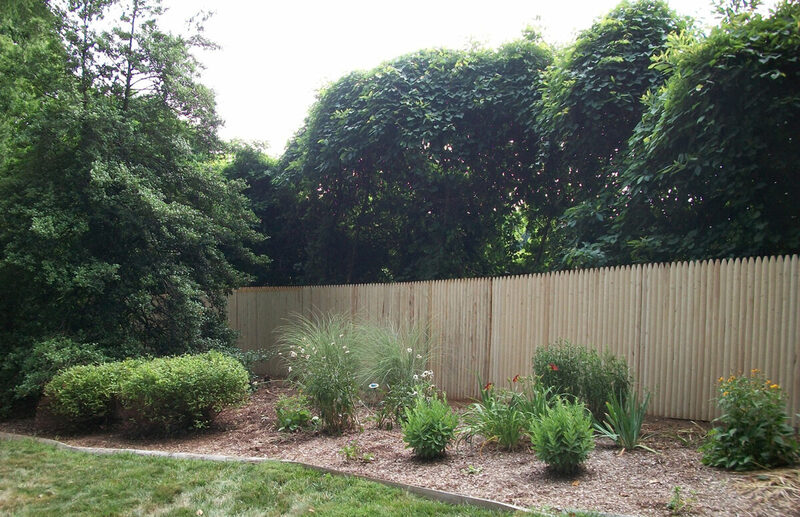 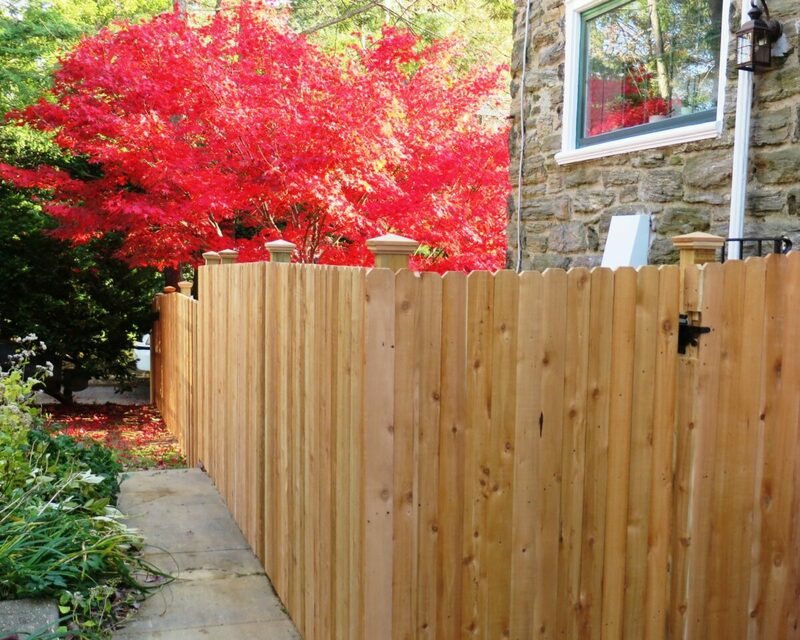 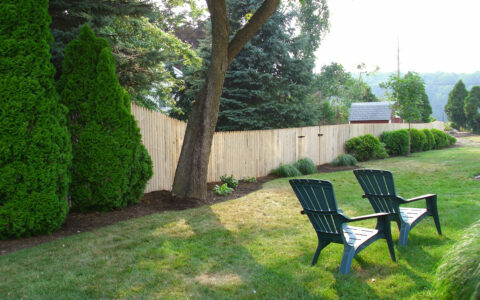 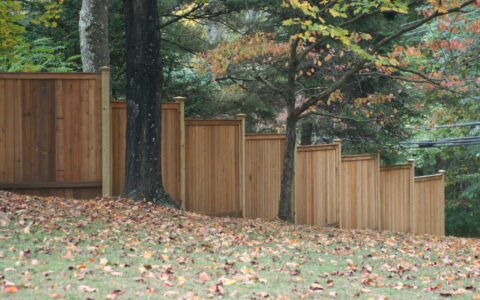 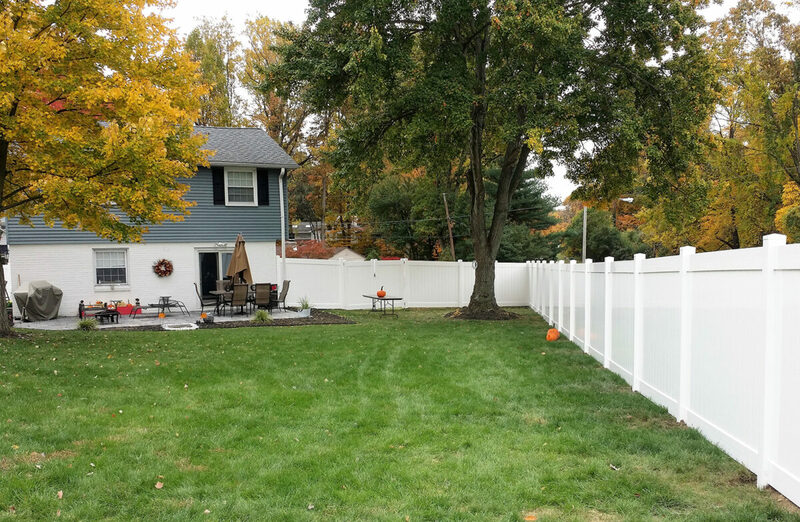 Bring definition to your property or create a visual barrier from the elements with a privacy fence. 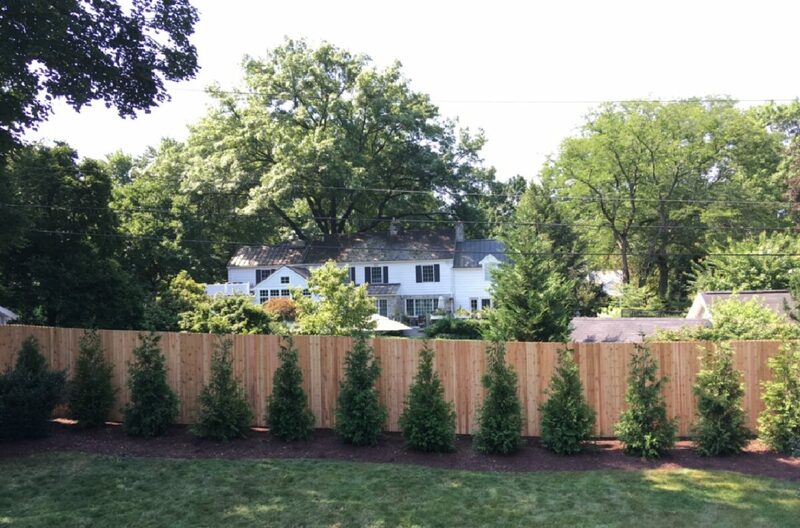 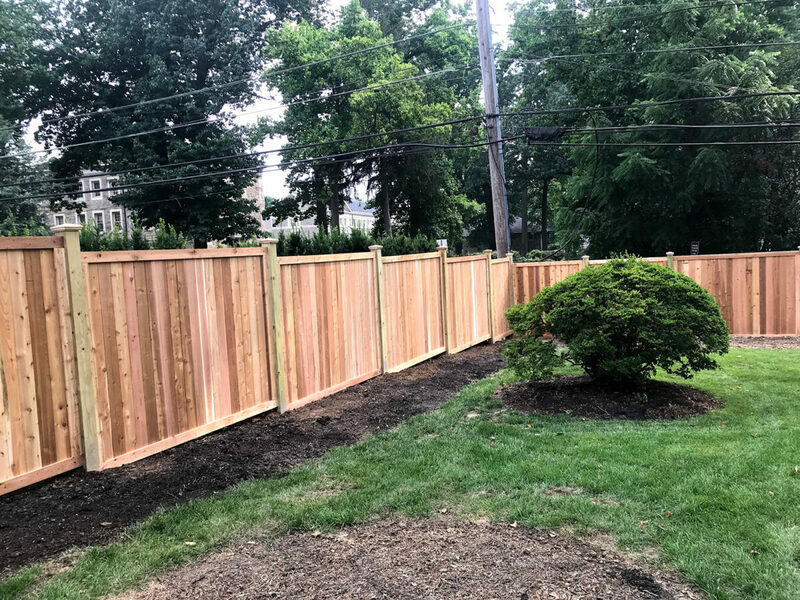 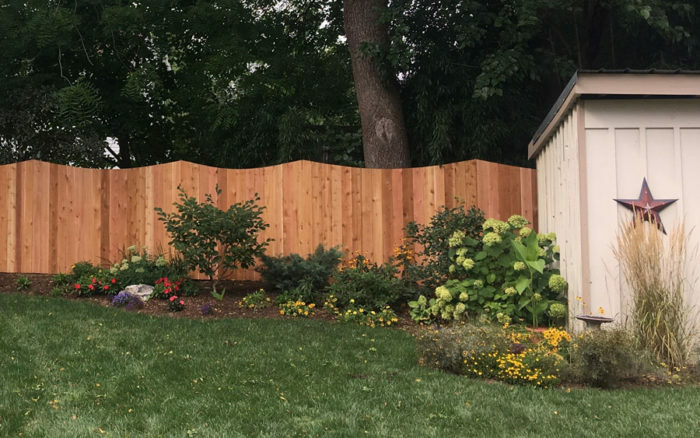 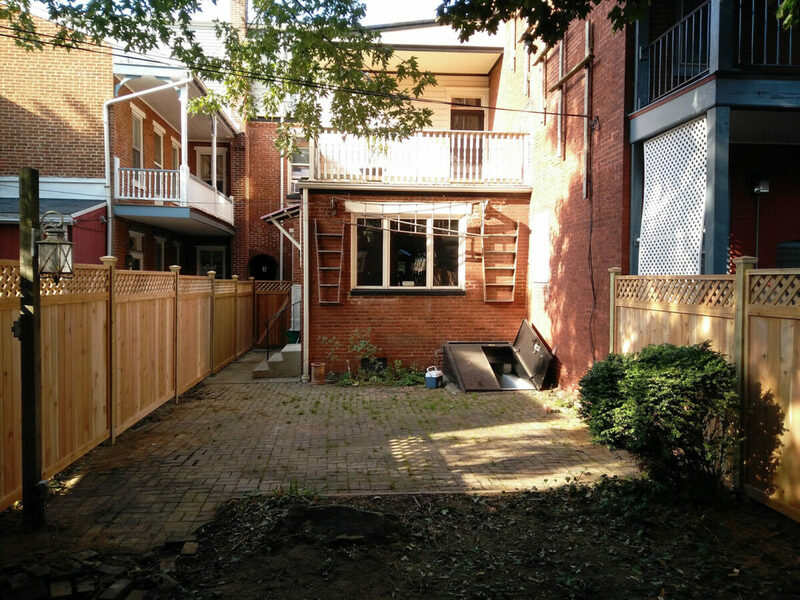 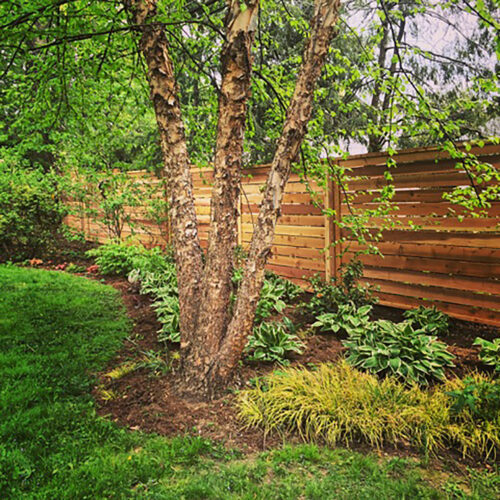 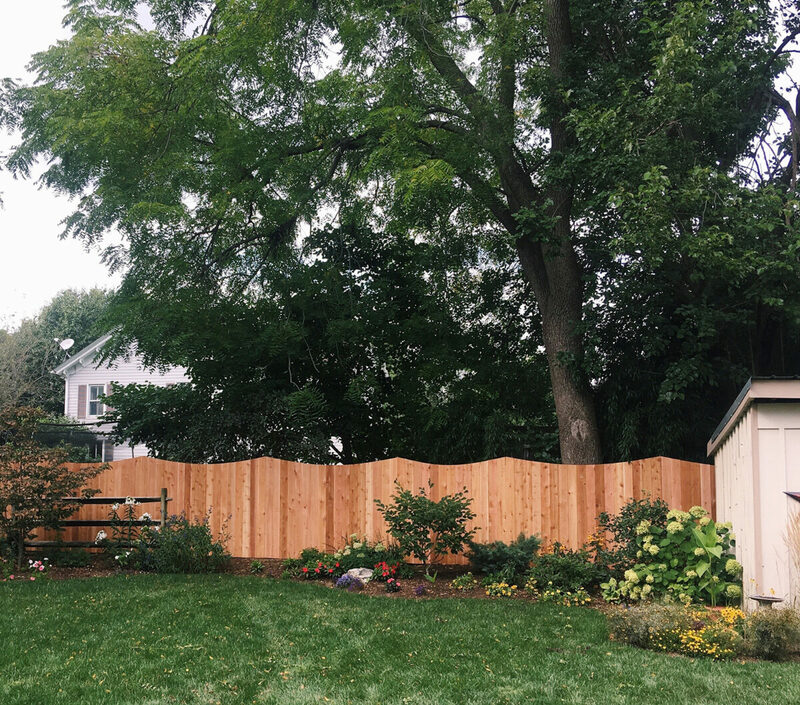 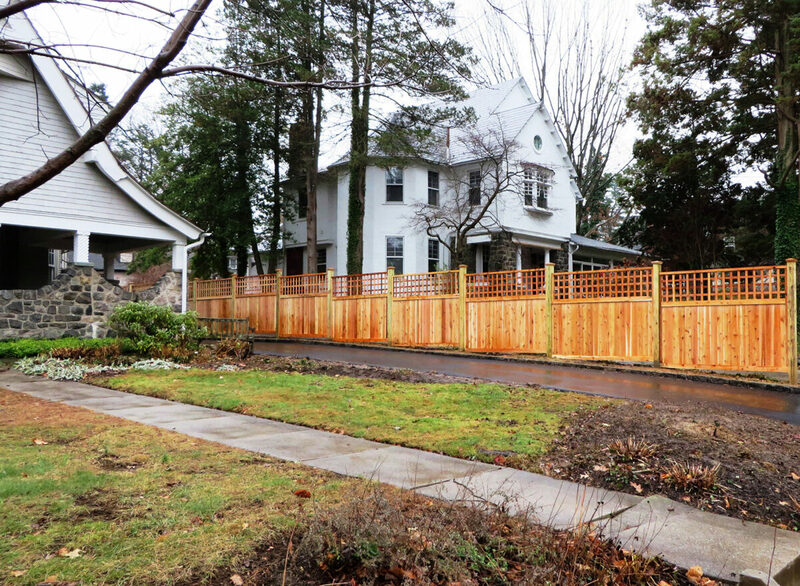 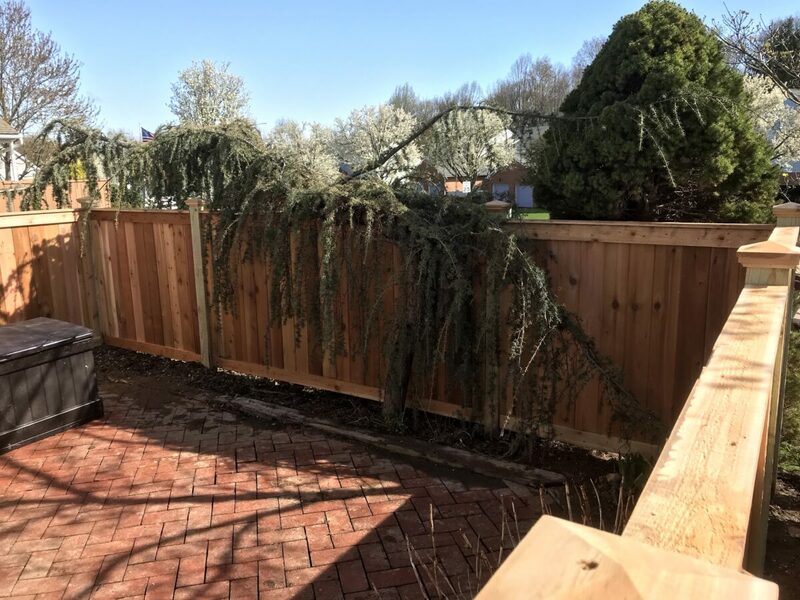 Whether you use this type of fence to fully enclose a smaller city yard or define a private corner in a larger space, we offer an array of choices that can be customized to enhance the beauty of your space by creating a visual barrier or background. 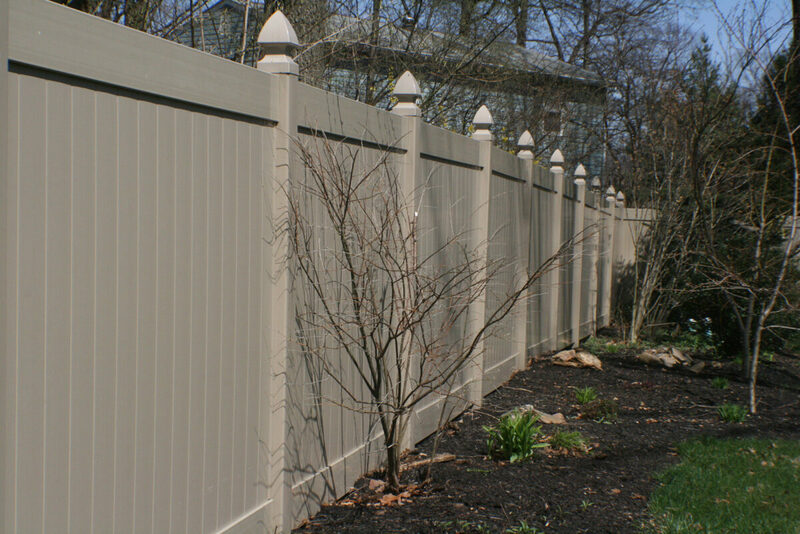 Available in a variety of decorative and functional designs, these fences create a full visual barrier for their height. 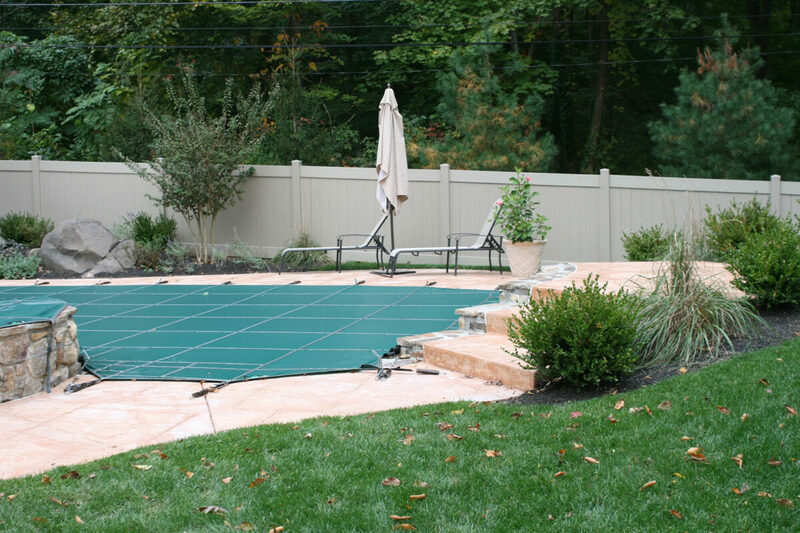 Provides a less rigorous visual barrier, allowing for better airflow and limited visibility. 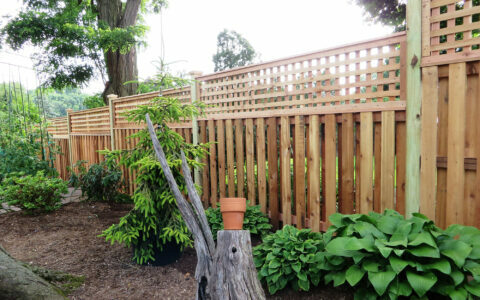 The most popular wood option, red cedar is known for its rich oils, making it resistant to rotting, breakdown from the elements, and warping. 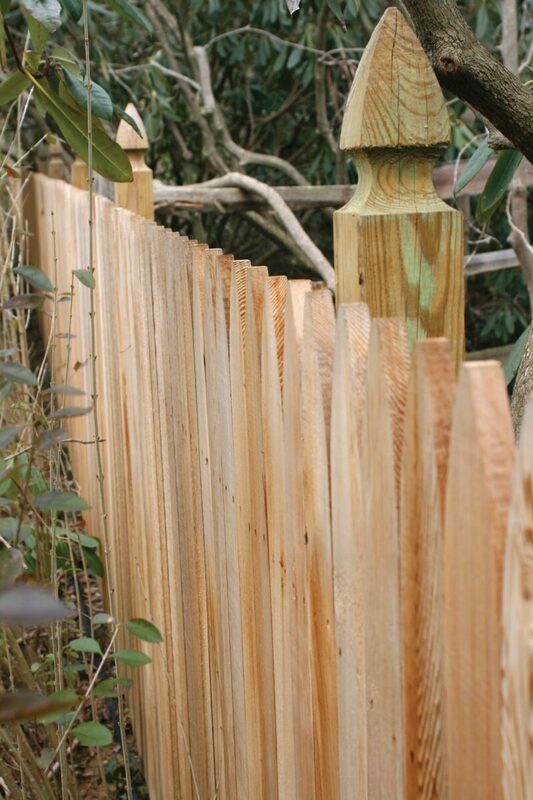 This material is an excellent choice for completely maintenance-free wood fencing that naturally silvers with age. 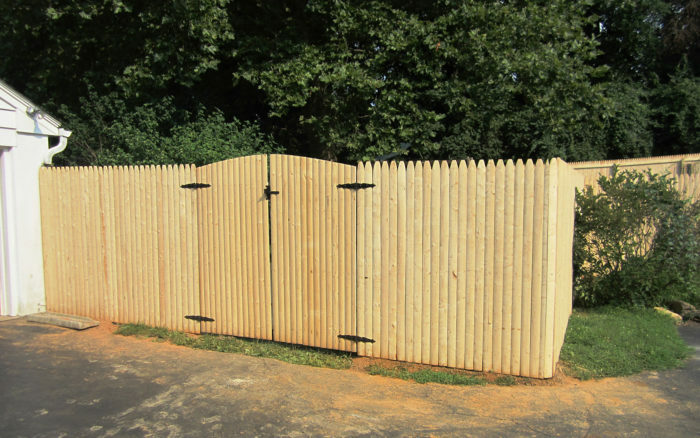 One of the most budget-friendly privacy options available, Manchester Stockade is made in classic spruce wood with traditional beveled, Gothic-style pickets. 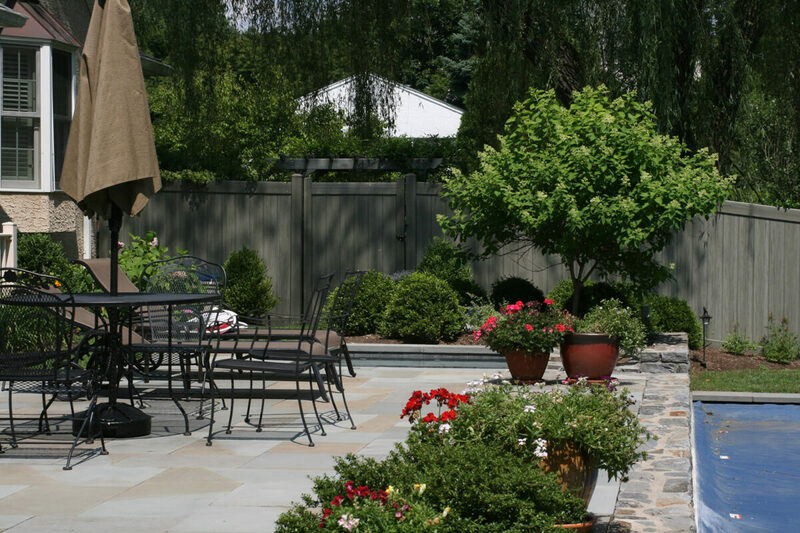 Known for its beautiful, sunny characteristics, this material ages to a natural gray color with time. 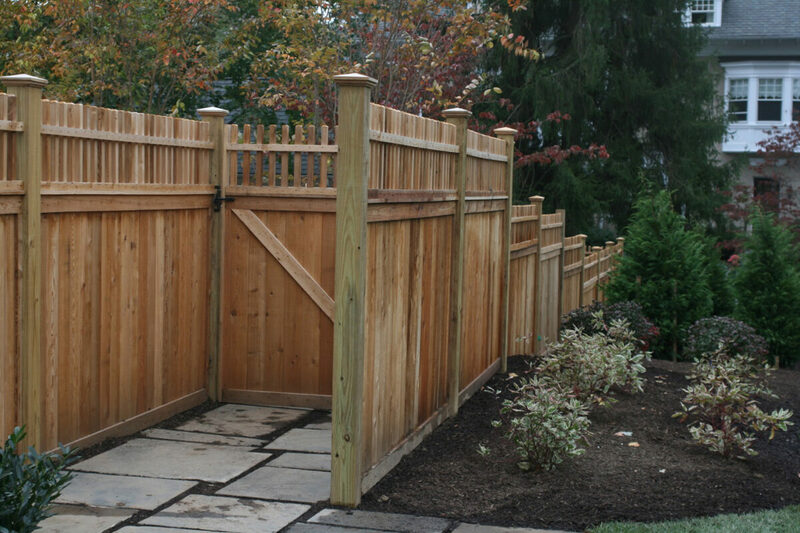 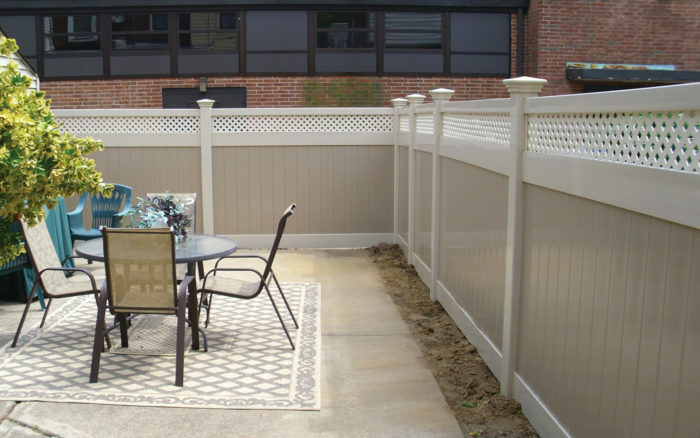 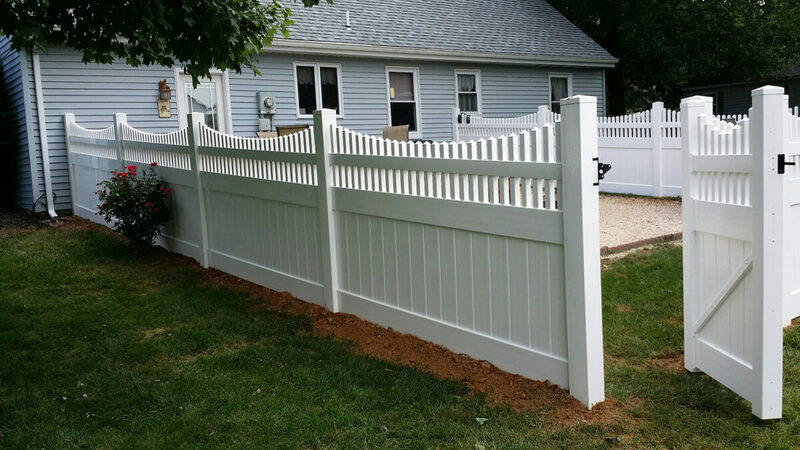 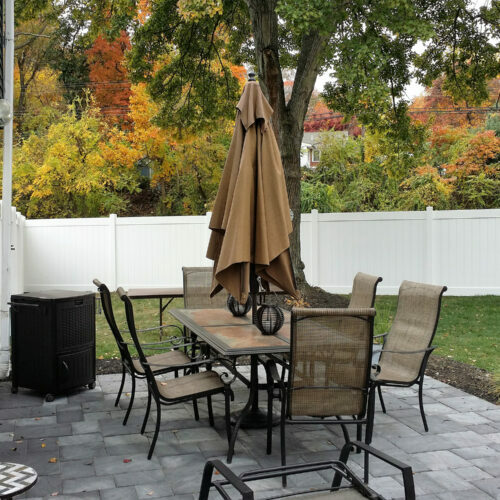 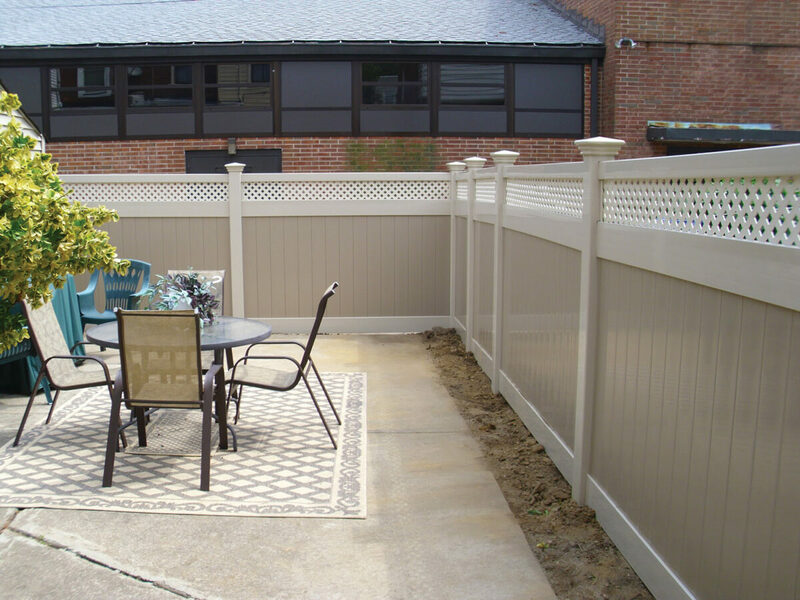 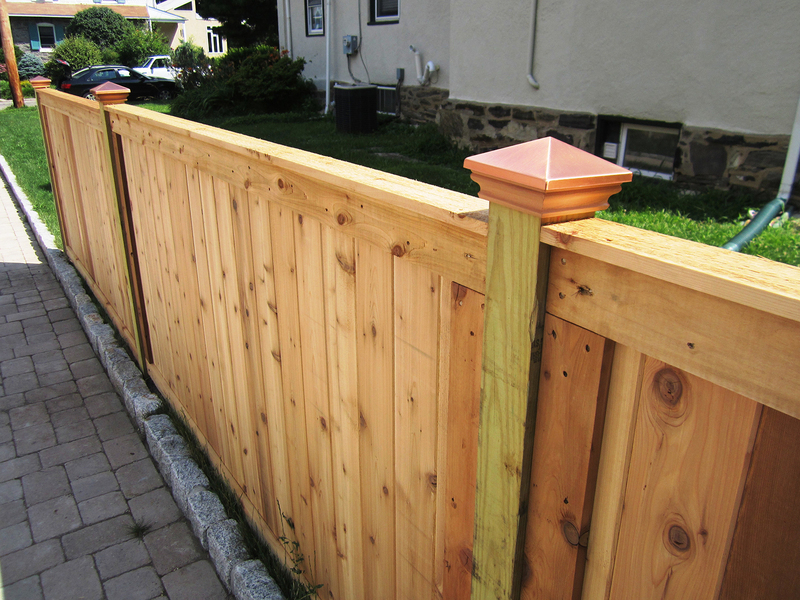 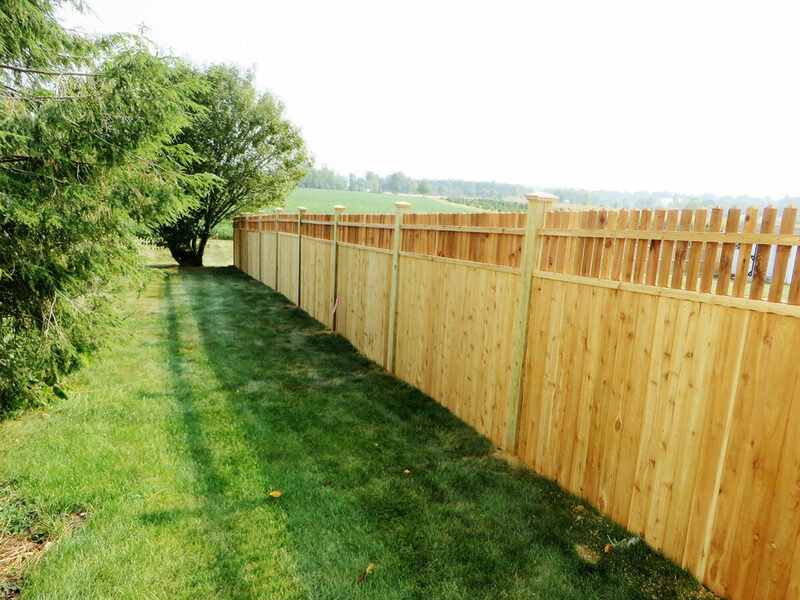 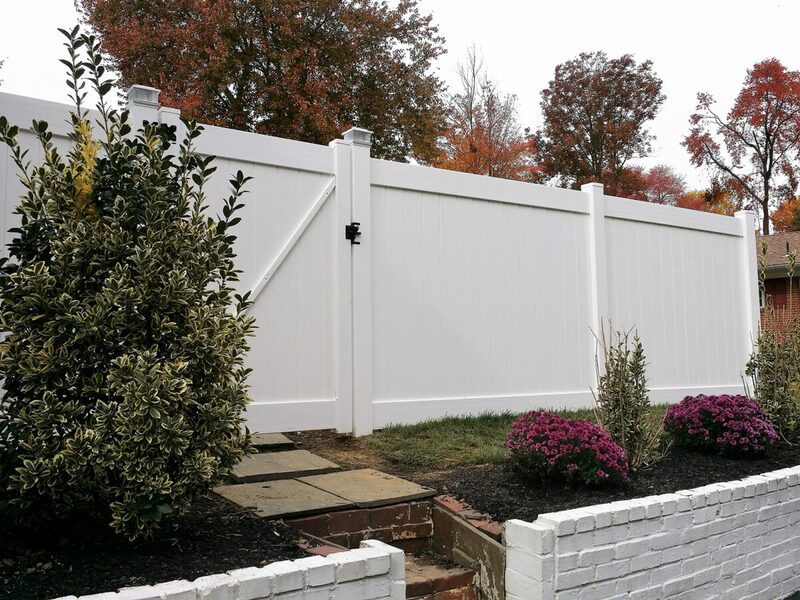 Our vinyl privacy fencing is designed and built with the best vinyl materials and crafted in many of the traditional styles common in wood fencing. 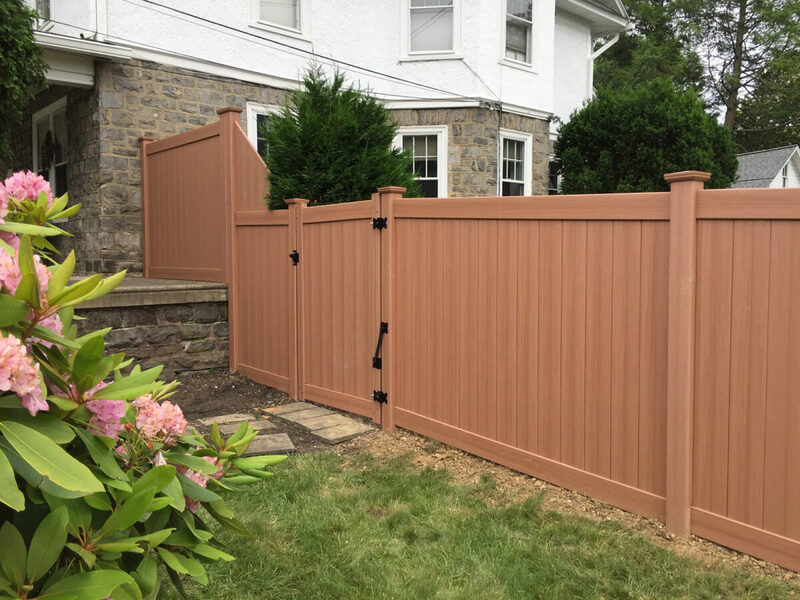 This material often brings you a wide variety of style, color, and texture options without the natural aging that occurs in wood products.